Every woman needs a good coat. That`s something you shouldn`t regret giving a lot of money for. It lasts for years (if its high quality), and it makes every outfit look special. I have to admit, these days I`m absolutely obsessed with different shapes and textures. Most of the people find autumn/winter boring, but if you have tons of good coats, you`ll look at it from a whole new perspective. All of these coats are from Voguec.com, and I really wish to own every single one of them! Which one is your favorite? Great selections of coats. Keep in touch doll. Can I have all of these!? 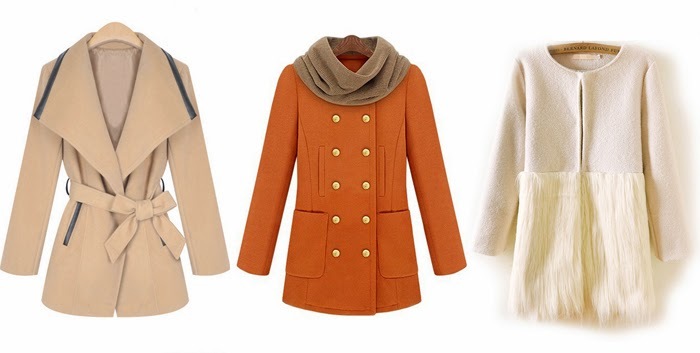 love these coats.. my favourite would have to be the last row.. so chic and fab! i love the second and the third coat here! they are so cute! so lovely collection of jackets for women !! All gorgeous! I like the styles in the top row best. I'm a sucker for a good coat. Just bought a J. Crew cocoon coat this season that I don't technically need, but wanted very, very badly. Haha same :) I`m really trying so hard to shop efficiently, but it rarely turns out that way. great post! love all the jackets! !